Yesterday, while I was fooling around on the river, my friend Harry was off enjoying the kind fishing adventures guys like me can only dream about. Like me, he landed a couple of fish, but his were absolute stunners. One was an Arapaima, one of the largest-growing freshwater fish in the world and the other was a Pacu, a deep-bodied fish, not unlike a piranha to which it is closely related. I have seen both of these before swimming around in various aquaria and know a little about them. Both come from South America and so, when I saw Harry´s photos yesterday evening, I assumed he was having some crazy adventure on the Amazon. As it happened he was in Thailand fishing a water stocked with various kinds of large tropical fish. The other anglers fish more conventionally using bait but Harry is, in his heart, a fly fisherman and he took both of his fish in the fly. Arapaima are fascinating things. They need to surface periodically to breathe air and can survive in places which are so depleted in oxygen that many other species fail to survive. They also have such tough scales that they are able to resist the attention of piranhas. What I was little prepared for, when I saw Harry´s photo was just how beautiful they are. They have a flattened head which appears almost reptilian, and large scales protecting an elongated body. 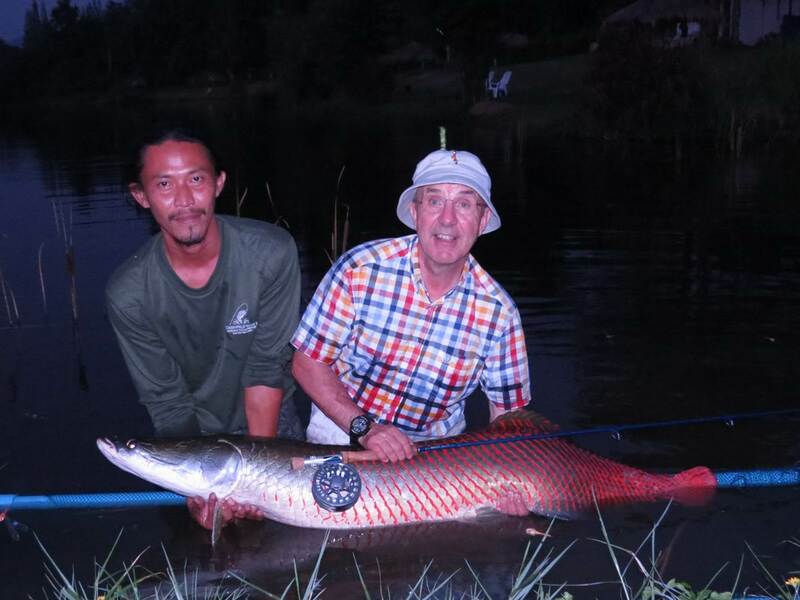 Harry said that the Arapaima hit the fly pretty much as soon as it hit the water and that it was dark before the great fish was finally released. 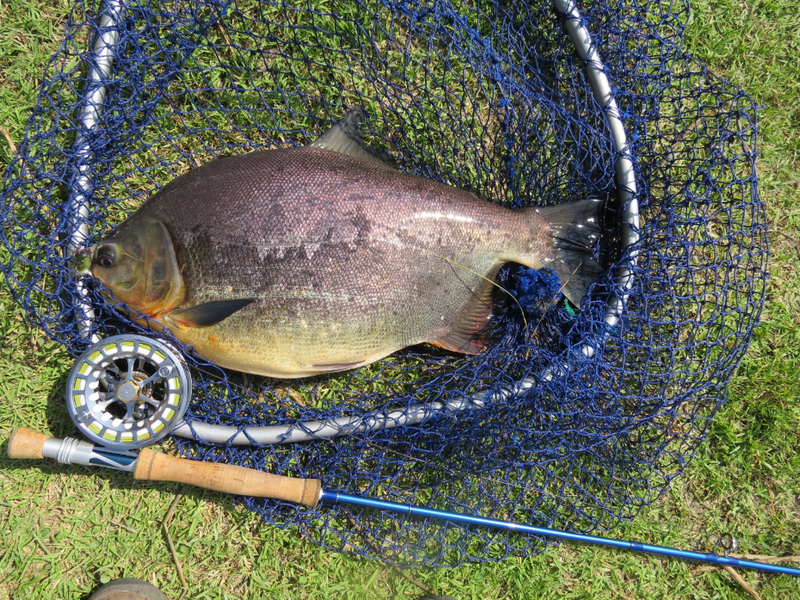 The Pacu are as strong as hell. The specimen pictured was estimated to weigh 9 or 10 kilos. Apparently they have extremely sharp teeth and will bite through anything that is not made out of steel. Harry hooked his fish with a nymph and it was not taken in enough to result in his line being bitten through. Apparently hooking these things is like getting you fly caught in the 10.23 from Paddington, and they will do their level best to snag you in some underwater obstacle if they have not already bitten through your line. I had always thought of them like big docile herbivores, like swimming sheep, but I obviously underestimated them. Harry is on his way to New Zealand and was kind enough to allow me to report on his adventures. So hopefully we will have more stories to report soon. Harry with his beautiful Arapaima, estimated at 25 kilos.